A sip of a highly caffeinated drink and a great selection of your favorite music tunes are not enough to start the engine & hit the road. You must be a nature lover and have the courage to taste the difficulty on the roads. All the road trips might not be awesome but heading to your dream destination with your daring pals will surely create something called crowning glory which is a perfect blend of adventure, fun & thrill. One of the most welcoming cities in India, Bangalore has everything you could ask for. The city is also known as the ‘Silicon Valley of India’, a must-visit place having a perfectly pleasant climate throughout the year. It’s a town with a lot of charm and if anyone plans to reach Goa by road, I’m sure he will be lucky enough. If you’re a beach lover, Goa is perfect and its stunning tourist attractions offer hypnotizing views and you can enjoy the scenery with a bottle of your favorite whisky. You must be heading to Goa with your friends to have indelible memories that would strengthen the bonds with your pals. Goa is more than just a honeymoon destination and you riders love the points of interest which are worth seeing for travellers of all ages. Travelling by bus can be a different experience and no worries because many travels operate in Bangalore Goa route. More than 10 operators with at least 25 buses provide the services which take around 12 hours to reach Goa from Bangalore. You can book your tickets at redBus, Paytm, MakeMyTrip, Yatra or Goibibo etc. If your trip needs less planning and you want to be free when and where to go, travelling by car might be the happiest option. You can choose campsites to stay which cost much lower than any budget hotel in the city and your car may save many bucks for food as you can start something called ‘Road Trip Cooking’. You can rent your favourite car from Zoomcar, revv and VOLERCARS and many more. Will this be your first motorcycle trip? If yes, you need to be prepared for a long road trip that’s Bangalore to Goa. You do remember some essential tips and take rest more than you think you should while travelling by motorcycle. No matter how bad your day is. Your bike will always make you feel better. In this write-up, I jotted five routes you can choose to reach Goa from Bangalore and each route with the required details such as distance, travel time and points of interest on the route. Some people might not even think of reaching Goa from Bangalore by bicycle, although many travelled & added memorable chapters to the trip of their lives. It takes about 10 days including night stays and visits to all the famous tourist attractions on the route. Jayamangali Blackbuck Reserve in Tumakuru: The district’s only notified protected area having the largest contiguous population of blackbuck in Karnataka. Ranibennur Blackbuck Sanctuary in Haveri: A wildlife century is to protect blackbucks having about 6000 in number. The tourist place is perfect for bird watching and photography lovers. Chitradurga Fort: Built between 11th and 13th centuries, the fort is made in a series of seven fortification walls which is one of the best tourist attractions in the state. Unakal Lake in Hubballi: An ideal picnic spot and best for witnessing sunrise and sunset in the city which offers picturesque views admired with lush greenery. Anmod Ghats: It would be a surprising drive and splendid vistas on the way, paved with streams and waterfalls that run all along the route. Panambur beach in Mangaluru – One of the most loved beaches in the city, Panambur beach attracts a gamut of tourists because of its amazing sunset landscapes. St. Mary’s Island in Udupi – Land of ethereal beauty, Udupi stands as a symbol for the sacred place and cultural tradition. St. Mary’s Island or Coconut Island is a place where Vasco De Gama first landed on his journey from Portugal. Remarks – This road has tolls as other routes. Belgaum Fort – The fort has a rich history and it is one of the oldest palaces in Karnataka. When in Belgaum Fort, do explore the ‘Mukhamantapa’ also which is a lotus carved on the ceiling. Chorla Ghats – A series of enthralling hillocks and a home of endangered species of fauna, Chorla Ghats have been declared as an Important Bird Area as well as a great place for trekkers. Surla Waterfalls – Just 66km from Panaji on the route, Surla Waterfalls snuggled amongst the Western Ghats and a great destination especially for nature & adventure lovers. Jog Falls in Shivamogga – One of the most beautiful segmented waterfalls in India located on the border of Shivamogga & Uttara Kannada and ranked 13th in the world waterfall database, Jog Falls is also known as Gerosoppa Falls and a must-visit tourist attraction in Karnataka. Remarks – Use Google Maps to avoid any disturbances. Gokarna – A famous temple town Gokarna is a home of many majestic tourist attractions include Om beach, Mahabaleshwara Temple, Kudle beach, Half Moon beach and much more, even you can go for water sports there. Karwar – The city is known for its mesmerizing beaches and seafood cuisine. The famous beach is also known as Rabindranath Tagore beach because he wrote his first Drama on Karwar beach. In Karwar Warship Museum, do check out torpedoes and missile launchers as well as other curiosities. 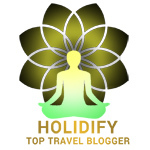 I love reading your blog, I follow closely all the tips, Thanks for sharing these tips, so that we can have the best tour. Glad to read this post and really very useful it is. I wrote home one of the tips for my next trip.